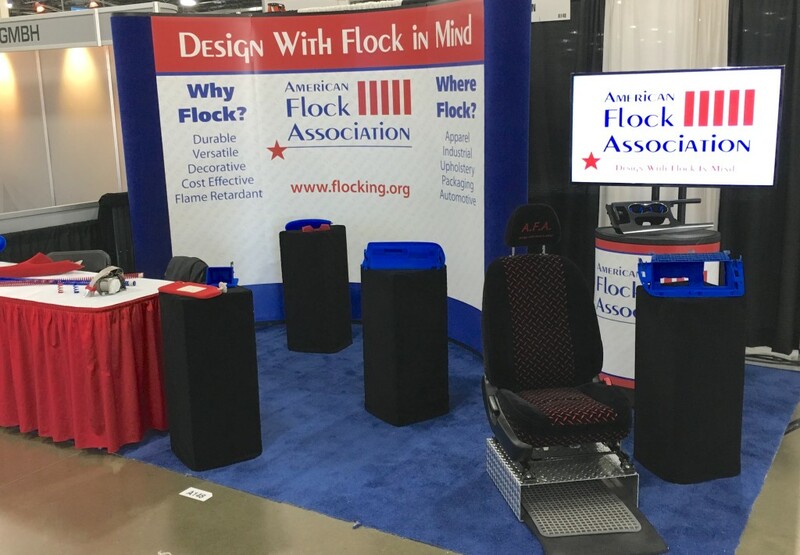 The American Flock Association exhibited at the first annual Automotive Interiors Expo in Novi, MI from October 24 – 26. The booth featured the new AFA Flock in Autos video. On display was the latest in Flock technology devoted entirely to the automotive industry. 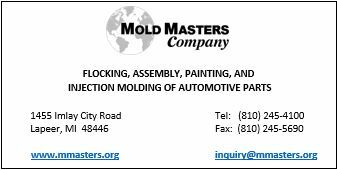 From decorative elements to high tech applications items in the booth showed how Flock improves the value of an automotive interior. NVH reduction was of particular interest as auto manufacturers strive for a quieter vehicle. Representatives from the major companies were impressed by Flocks ability to absorb noise as well as adding a luxurious appearance. They not only could see, but also feel the difference that Flock can make.